Germany’s SMA has a history of more than 35 years in the development of power inverters for residential, commercial and utility scale solar and wind energy applications – far longer than most of its competitors. Inventor of the world’s first string inverter, the SMA inverter has been the quality benchmark in the solar inverter industry for decades. SMA was the first manufacturer of solar inverters listed in the Prime Standard of the Frankfurt Stock Exchange and has also been listed in the TecDAX since 2008. Sunny Boy – home and small commercial systems. Sunny Tripower – medium-sized plants through to multi-megawatt. Sunny Central – multi-megawatt large commercial and utility scale. Sunny Island – off grid solar applications. Quality construction and designed in Germany. Robust – perfect for Australia’s often harsh conditions. Excellence in after sales service and support. Solid warranties, rapid turnaround and low warranty claims. Monitoring capabilities and access to Sunny Portal, which features almost infinite options for analyzing data and visualizing yields. A multiple award-winner, SMA manufactures one of the world’s most trusted, reliable and efficient brands of solar inverter. SMA is one of the most recognised names in the renewable energy sector and its products are very popular in Australian home and commercial solar power installations. More than 50 gigawatts of SMA solar products are installed globally (Source: SMA – 2016) and the company employs more than 3,000 people on four continents in twenty countries, including Australia. Around 450 of SMA’s workforce are dedicated service personnel. During the first half of 2016, SMA was ranked as a top three inverter company globally based on shipments – and it has consistently ranked well for many years; often achieving no.1. 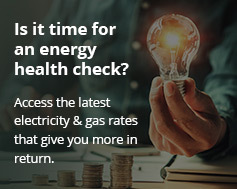 With a physical support presence in Australia, you can rest assured your purchase not only comes the backing of Energy Matters, but SMA staff on the ground locally. SMA is also a signatory to the Code of Conduct issued by the German Association of Materials Management, Purchasing and Logistics (BME) and the United Nations Global Compact, both of which relate to companies operating in an environmentally sound, responsible and ethical manner. German engineering – German quality. SMA continues the tradition; providing high yield devices and superb reliability. SMA solar inverters are used in Energy Matters’ Premium and Platinum range of solar panel system packages. Energy Matters’ parent company is an authorised distributor of SMA inverter products. You can have an SMA solar inverter installed as part of a home solar power system – get a quick quote now! SMA solar inverters can be included in commercial solar power systems Energy Matters develops. SMA solar inverters are available via Energy Matters’ wholesale distribution arm at very competitive pricing.